Not sure how big you want your tree this year? We measure our trees to the top of the “leader” (the long bit at the top above the topmost branch). You will need to keep in mind that if you’re using a stand, this will add a little more height to the tree and also any decorations used to top the tree. A typical ceiling is around 8 feet. 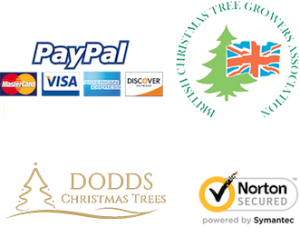 We are on a mission to provide convenient delivery of real Christmas Trees to Leeds homes and businesses. Nestled in the heart of Leeds, our workshop and tree showroom is home to 100s of individually nurtured Christmas Trees & fresh Wreaths.